Pennsbury Manor is closed on Mondays. We are open Tuesday through Saturday from 9:00 am – 5:00 pm and Sundays from 12:00 pm – 5:00 pm. 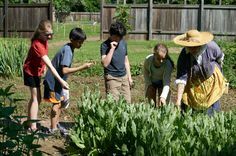 Admission to Pennsbury Manor includes entrance to the exhibit, William Penn: Seed of a Nation, an orientation video, and a guided tour of William Penn’s Manor House and Kitchen House. (Self-guiding tour options are available but you must be on a guided tour to see the inside of the Manor House.) Guided tours are available Tuesday through Saturday and last approximately 1 ½ hours. On Sundays, April through October, special activities and programs allow you and your family to explore the site at your own pace. Tours of the Manor House are included and scheduled throughout the day. Check our calendar of events to find out what’s happening each week. Pennsbury Manor is closed from January 1 through February 28. Guided tours are available by appointment. Please call 215-946-0400 to schedule your tour. 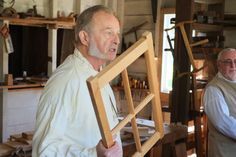 Your receipt from Pennsbury Manor is good towards reduced adult admission at any of the Pennsylvania Historical and Museum Commission (PHMC) historic sites and museums listed on the Pennsylvania Trail of History website.